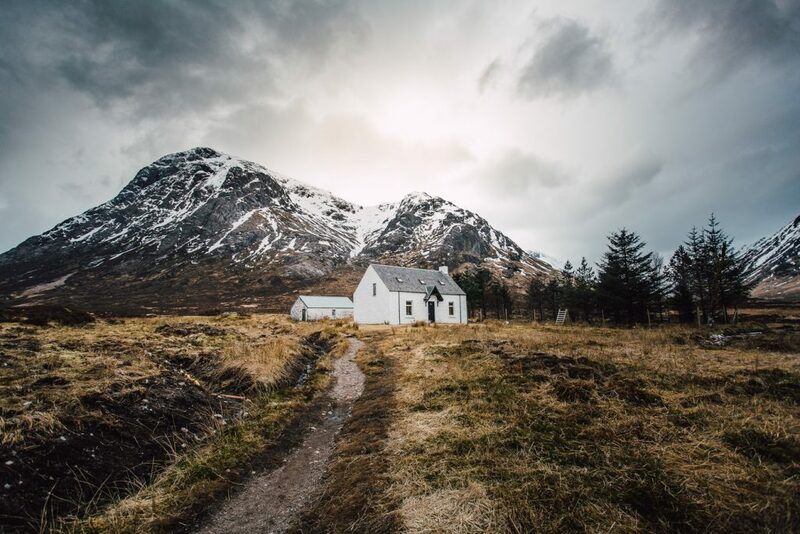 Heading to the United Kingdom and looking for inspiration in the form of the best places to visit in Scotland highlands? 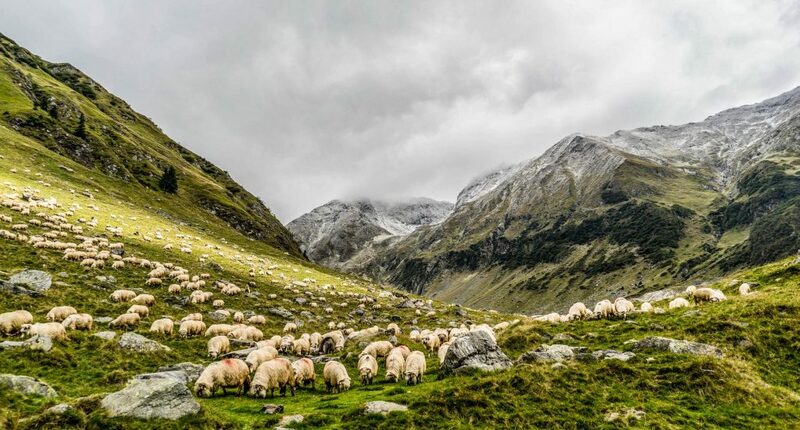 Well, you’ve come to the right place – and even better I’ve got 15 epic reasons why you need to go to the Highlands of Scotland now. In case you are somehow sitting on the fence… you won’t be by the time we finish here! 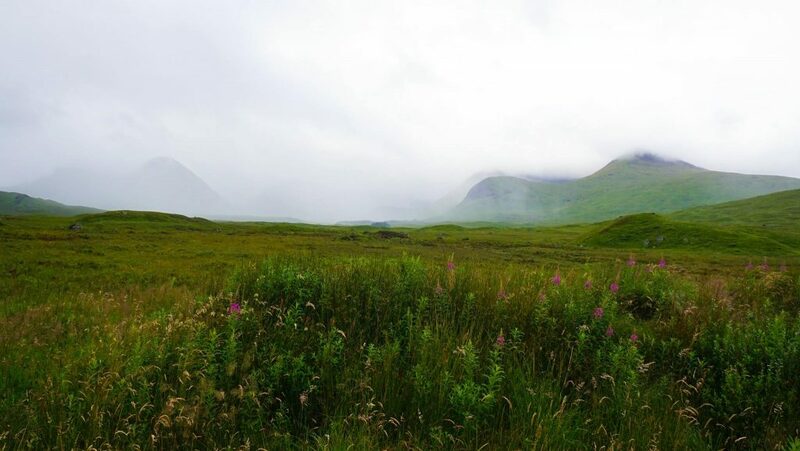 An incredible escape northwards to the mythic landscapes of the Highlands. An untamed land of enchanting solitude filled with rugged mountain ranges, transfixing castles, unexpectedly beautiful coastline, and windswept islands. 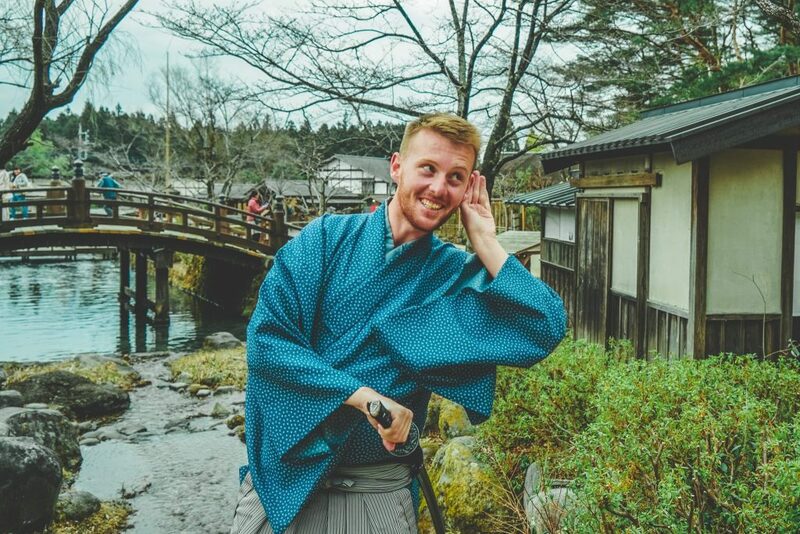 Of course, there is also a shy monster, whiskey, animals, outdoor pursuits and some very friendly people – just be prepared for the most changeable weather you have ever experienced. Oh Scotland, you do spoil me so. One of the most stunning viaducts in the world – An absolute must see! 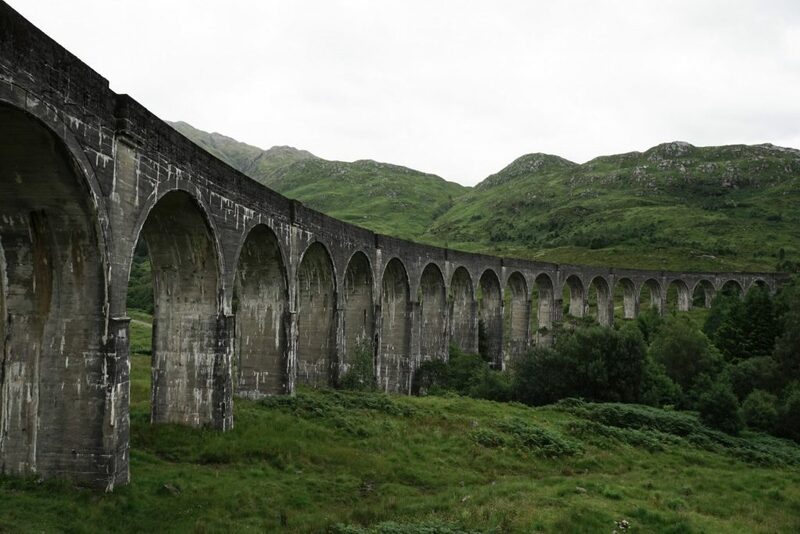 It is now most famous as in the Harry Potter films the Hogwarts Express was seen calling at Glenfinnan! All aboard! 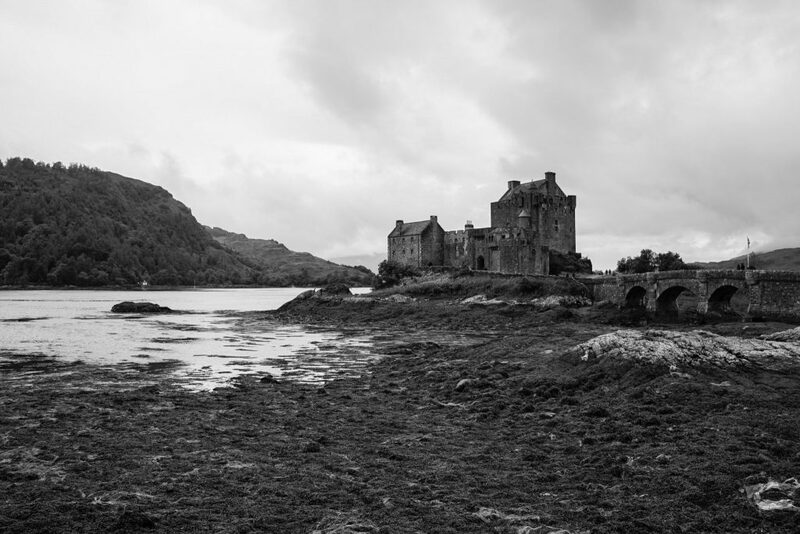 The most recognized, and photographed, castle in Scotland. An icon of Scotland found on shortbread tins and calendars the world over! 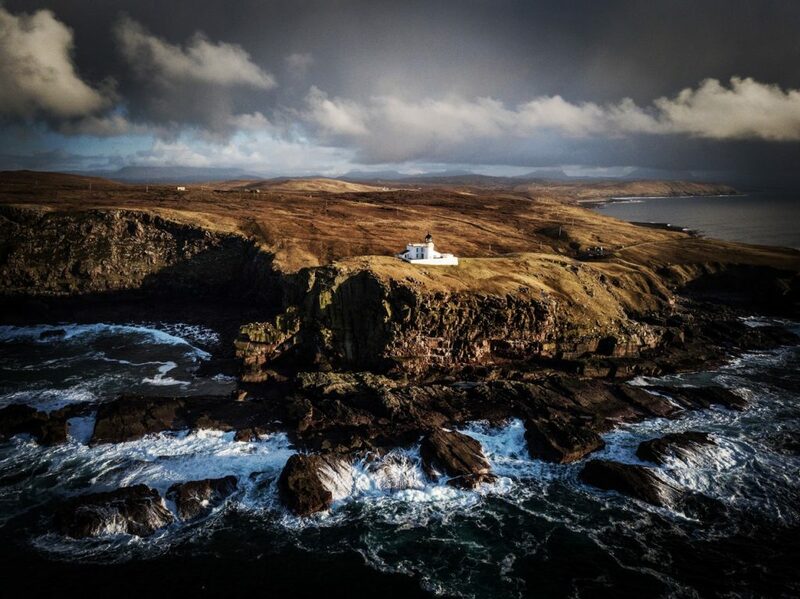 Built on its own little island, overlooking the mythical Skye, it is here that three great sea-lochs meet creating a truly breath-taking setting! 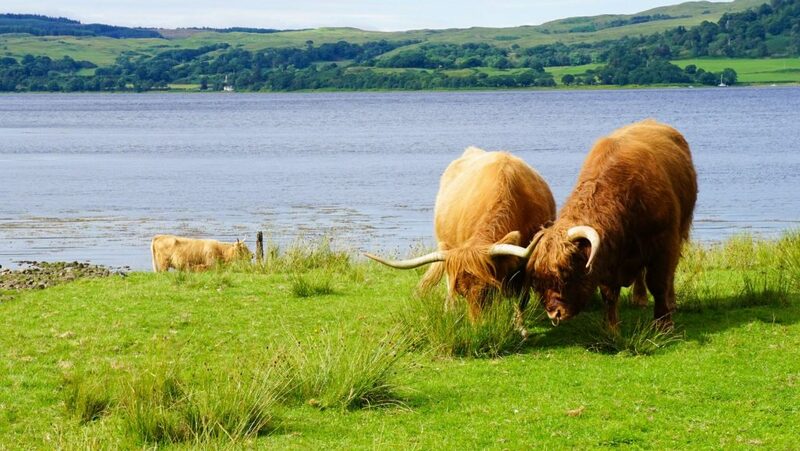 The largest lake in Scotland, this loch needs no introduction. Made famous for its monster that lurks within, no visit to the Highlands would be complete without a visit to her murky shores. Say hi to Nessie! For a more extreme visit, why not consider discovering Scotland’s iconic lochs at your own pace with scenic kayaking excursions along the Great Glen Canoe Trail. 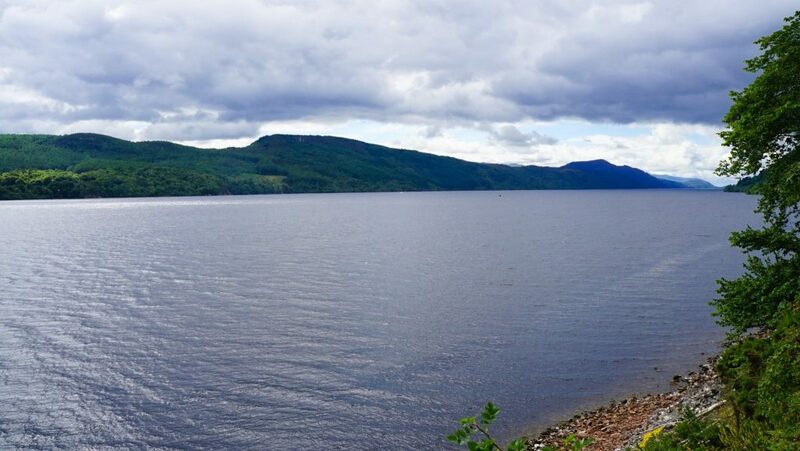 A 22-mile trail made up of the four main lochs (Loch Lochy, Loch Oich, Loch Ness and Loch Dochfour) the Caledonian Canal system is a fun and adventurous day out for serious paddlers and myth busters alike. Whether you’re looking to beat the salmon upstream or searching for the UK’s most infamous local legend, this thrilling activity is for you! 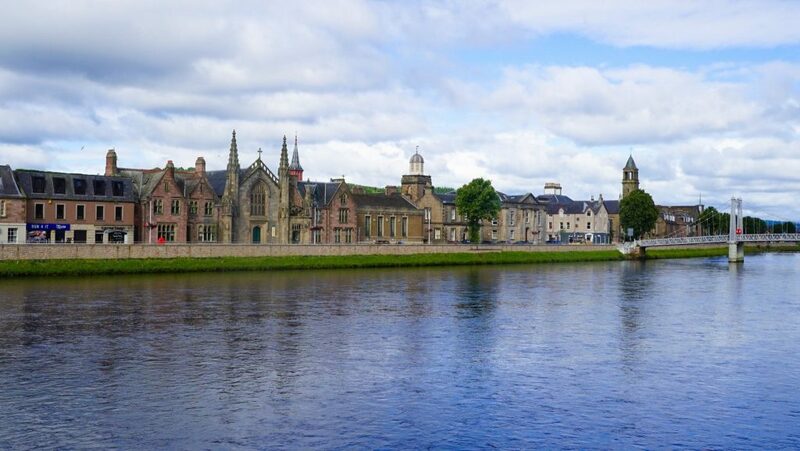 Inverness, a thriving city that offers a rich variety of things to do and see from shopping and culture to eating and drinking. The old town is beautiful and is located at a highlands crossroad meaning you’ll probably pass through at some point. Be sure to stay a while! 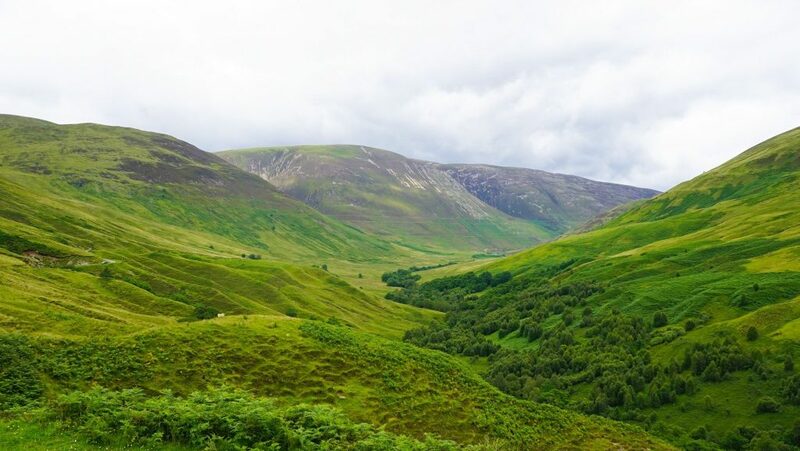 The Glen Roy National Nature Reserve, famed for its ‘Parallel Roads’ that slash through the landscape. These straight, precise lines baffled scientists for so long, including Charles Darwin, and are actually evidence of a long-gone glacial lake. Woodland and nature still reign supreme in this tucked away valley. A true gem which is largely undiscovered by tourists! 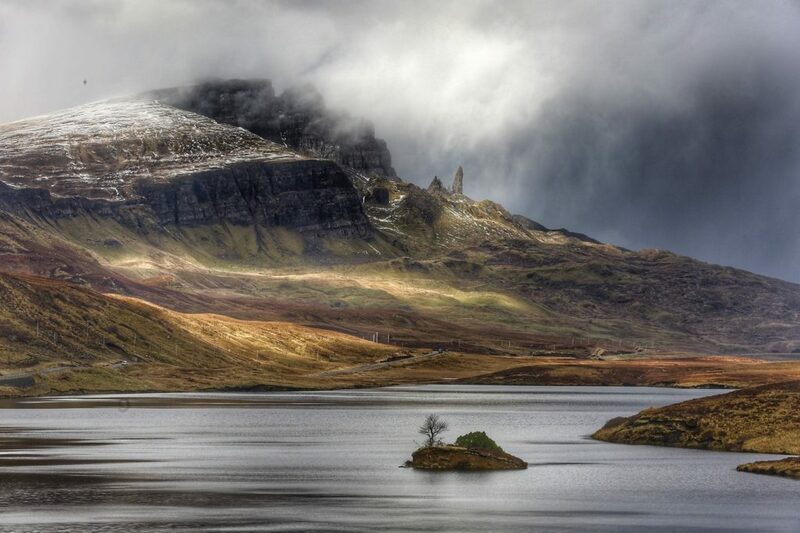 This island castle’s picturesque placement, standing tall on a bewitching island set against a dramatic backdrop of mountains, has made it something of a cliché image of the Highlands. 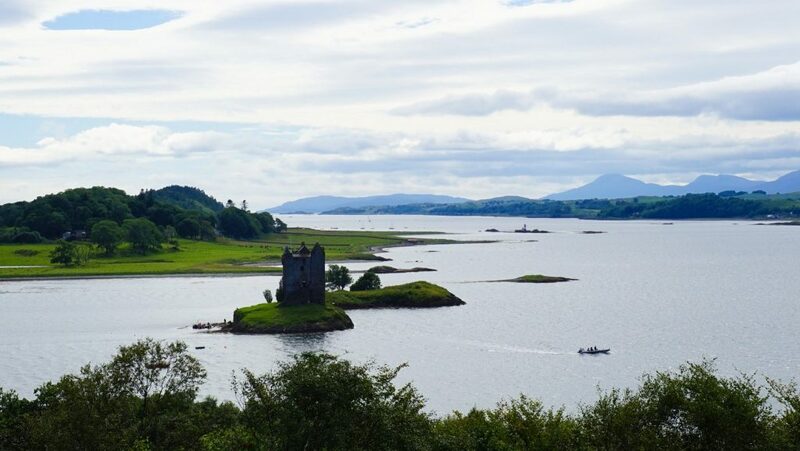 But not to fear, Castle Stalker is entirely authentic and is actually one of the best-preserved medieval tower-houses in Scotland. Marvel in its splendor! 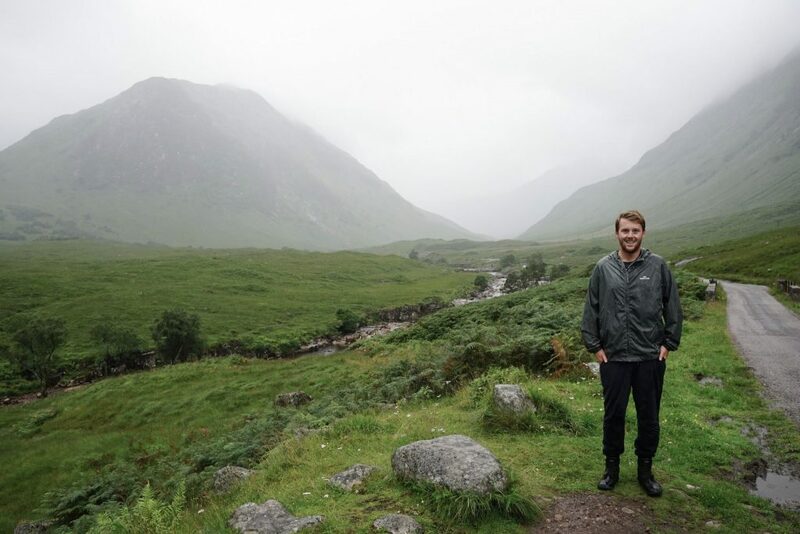 Just another reason why you need to go to these must-see places in Scotland Highlands. 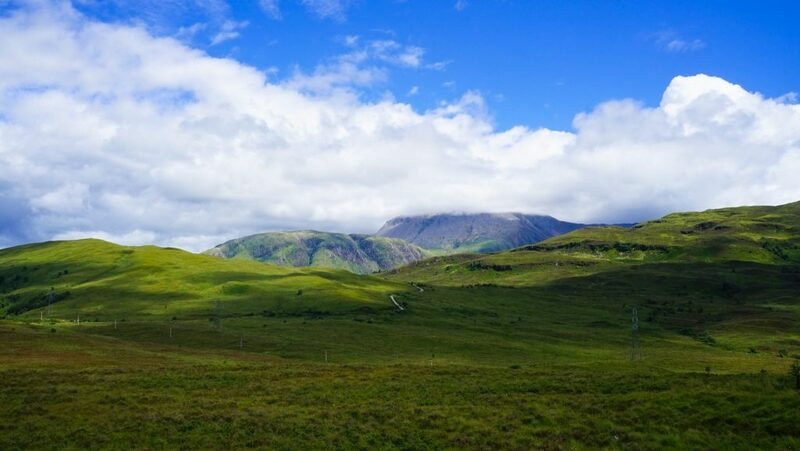 The highest mountain in the British Isles standing at 1,346 meters – so naturally, no list of best places to visit in Scotland highlands would be complete without it. An iconic peak soaring over Fort Williams, if the weather allows be sure to try to climb her lofty heights! I mean…I’ve only ever seen it covered in clouds, but you might have better luck! This stunning valley is hidden just off the main highland road. You would undoubtedly pass right by this hidden paradise but that would be a mistake. A dead-end road, you will only find a few lost tourists down here but pack your picnic and enjoy these quiet splendor! The location that inspired my entire travel here…Bond and M head into the misty valley preparing for their final show-down at SKYFALL, Bond’s childhood manor. While the manor does not actually exist the iconic shots of the Aston Martin up the valley do! Check out my separate post for the exact location! 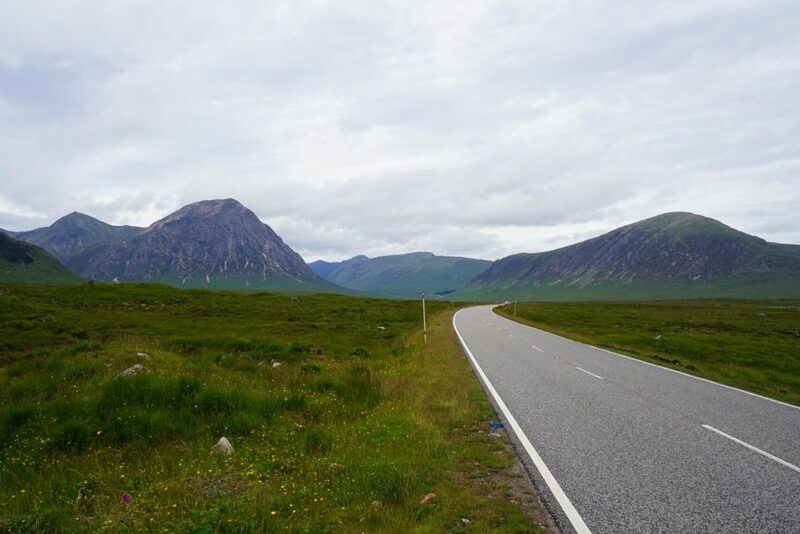 The deep valley and towering mountains of Glen Coe are the most iconic scenery in the Highlands and something which you could hardly miss if you tried. Carved out centuries ago by icy glaciers and volcanic explosions driving through these giants is an other-worldly experience and given the changeable weather, multiple trips provide a distinct experience each and every time! 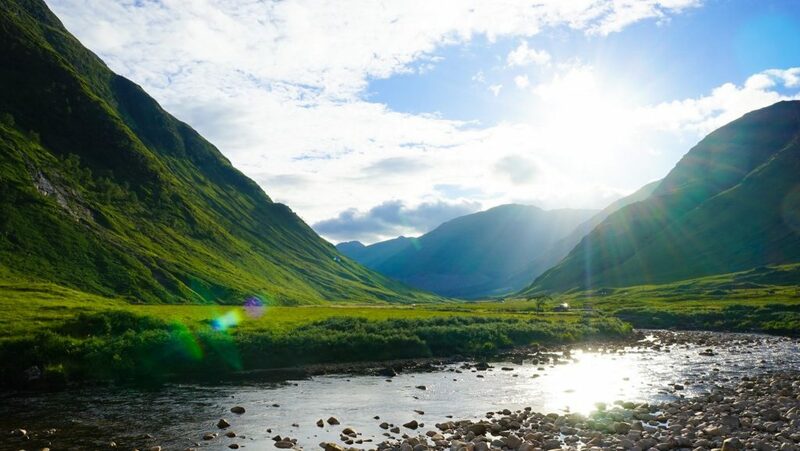 A tucked away reserve just off the main road – Perfect to stretch your feet after a long drive exploring all the best places to visit in Scotland Highlands. 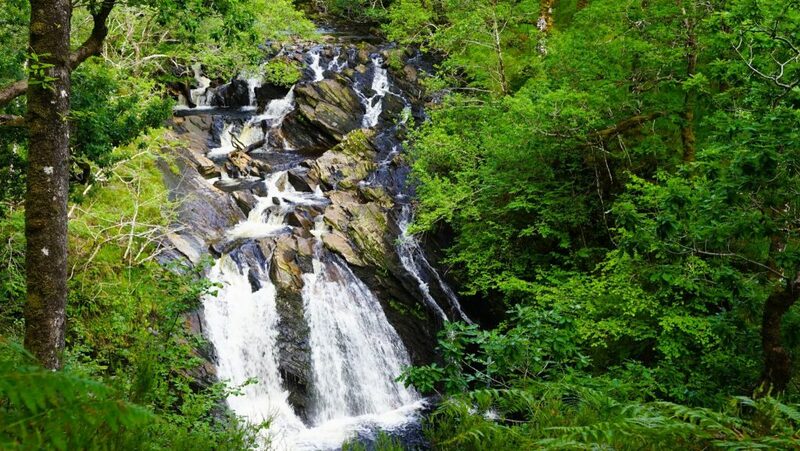 A silent forest envelopes you and leads you towards these picturesque falls. A perfect picnic spot which you will likely enjoy to yourself! 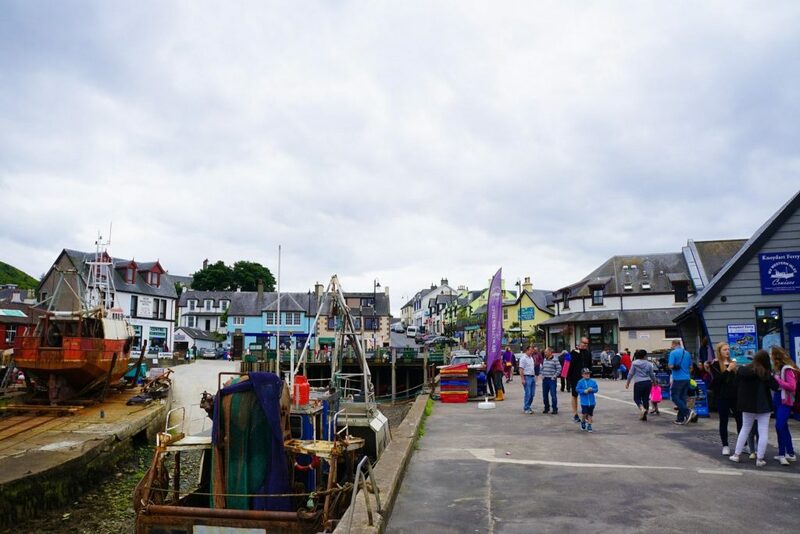 A thriving port town made famous as being the Road to the Isles.But not to be skipped over this fascinating place has the atmosphere of a working fishing port but is also a perfect remote location to relax and unwind! Something here is always going on! A ruined castle surrounded by soaring mountains and boggy marshland. At the head of Loch Awe, with the peak of Ben Cruachan visible; this was the original power base of Clan Campbell. 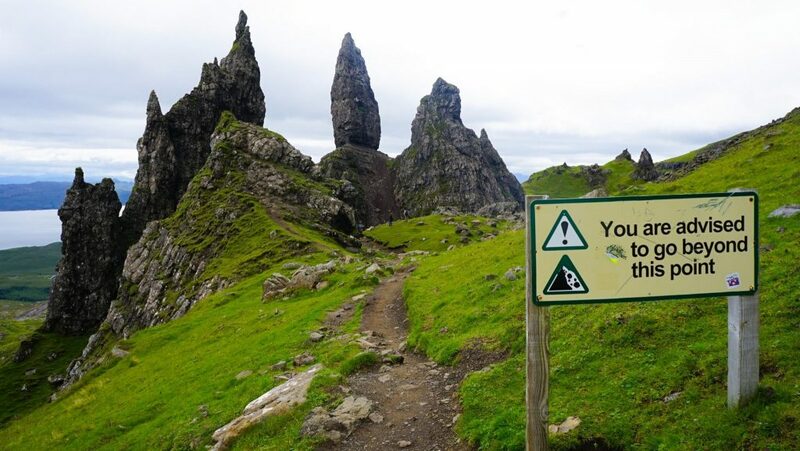 A must see place in the Scotland Highlands! 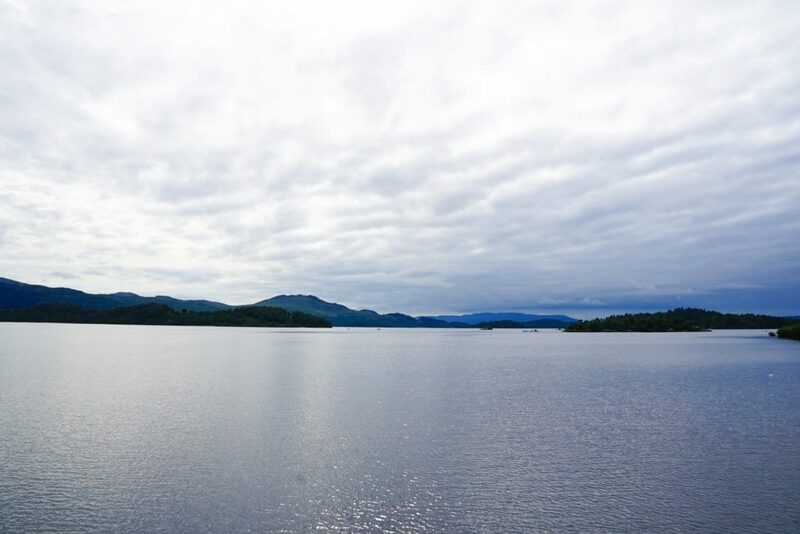 One of the first lochs before you enter the highlands proper, this tranquil lake is an ideal destination to stop and relax. Enjoy a coffee, marvel at is vista and take a walk. You’re on holiday so enjoy it! What are you waiting for …get booking those flight tickets! Need any help? Feel free to comment below… Also check out my other Scotland posts about Freedom Camping, Skye, Hogmanay in Edinburgh and the Isle of Muck!